The principal causes of liver failure in an AIDS patient are: infections (tuberculosis, atypical mycobacteria, CMV, hepatitis B and C), septicaemia, cryptosporidia cholangitis, extrapulmonary pneumocystosis), drugs (anti-TB medication, paracetamol overdose, antiviral medication), alcohol. Pancreatitis can be induced by medication, such as Hivid® and Videx®. Fever can, among other things, be due to tuberculosis or opportunistic infections. Investigations in an AIDS patient with fever should be aimed at detecting treatable causes. Malaria is not an opportunistic infection, but can also occur in HIV patients. Recurrent Salmonella septicaemia is frequent. The reason is that Salmonella bacteria are facultative intracellular pathogens. They are normally eradicated by T-cell-activated macrophages. This mechanism is deficient in AIDS patients. A “functional hypogammaglobulinaemia” exists despite the polyclonal B-cell stimulation and the accompanying hypergammaglobulinaemia. There is an increased risk of infections with encapsulated bacteria (e.g. pneumococci), but also with Branhamella, Haemophilus and Staphylococcus. Infections with Mycoplasma and Legionella are not more frequent in seropositive persons. “Drug fever” occurs more frequently in seropositive than in seronegative persons. In Africa persistent cough lasting more than 1 month occurs in approximately one third of AIDS patients. Bacterial pneumonia (pneumococci, Haemophilus) and tuberculosis are prominent in cases of respiratory problems. Atypical mycobacterioses and Pneumocystis carinii pneumonia are rather infrequent in Africa. Deep fungal infections (histoplasmosis, cryptococcosis, blastomycosis) can likewise cause pulmonary lesions. Pneumocystosis usually develops subacutely, with dyspnoea (shortness of breath) and a dry cough. Recurrent bacterial pneumonia occurs frequently in AIDS patients and is a major cause of death. Vomiting blood (haemoptysis) and pleural effusions are principally caused by TB and Kaposi's sarcoma. Sinusitis is quite frequent in AIDS patients. Lymphoid interstitial pneumonitis occurs especially in children, but can also be found in HIV positive adults. 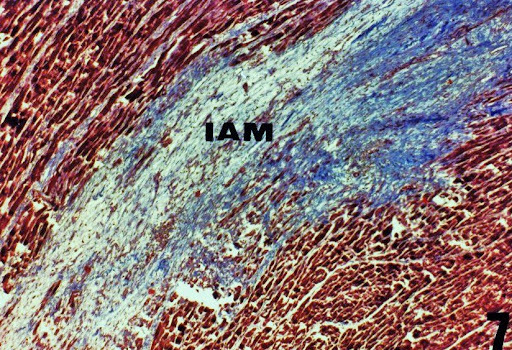 It is characterised by diffuse interstitial infiltrates. The alveolar septa are infiltrated with lymphocytes, plasma cells and immunoblasts. Pneumocystis carinii was originally described in 1909 by Carlos Chagas. He thought it was a cystic form of Trypanosoma cruzi. In 1910 Antonio Carini observed similar cysts in rats with experimental trypanosomiasis, but thought that it was a new, unknown organism. He sent material to his colleague Laveran for further investigation. In 1912 Laveran’s student Delanoe described similar cysts in lungs of Trypanosoma-free sewer rats. He gave the organism the name Pneumocystis carinii. The taxonomic classification is debatable, though on the basis of DNA analysis it is at present regarded as an unusual fungus. It is a microscopic organism that frequently causes inflammation of the lungs in severe immunosuppressed individuals. Disseminated infections can occur, e.g. with retinal lesions and foci in spleen and kidneys (frequently calcified). It is not easy to confirm the diagnosis via microscopic investigation, as this has a limited sensitivity. The pathogenic organism is best shown via bronchoscopy and broncho-alveolar lavage, though it can also be found in sputum induced in a non-invasive manner. The latter however requires availability of a special aerosol appliance to create a very fine spray of 3% saline solution. The technique is less sensitive. The organism can be shown with Giemsa staining and is recognizable as small, fine blue spots (the capsule is not stained with Giemsa). Gomori methenamine silver staining, which also stains the capsule, is better. Several neurological complications can occur in AIDS patients. These can be subdivided into diseases induced by HIV itself, by opportunistic diseases or by medication. Acute aseptic HIV-meningitis, chronic HIV-meningitis, HIV encephalopathy (AIDS dementia), vacuolar myelopathy, predominantly sensory neuropathy, inflammatory demyelinising polyneuropathy, mononeuritis multiplex, myopathy. Cerebral toxoplasmosis, Cryptococcus meningitis, tuberculous meningitis, CMV retinitis-encephalitis-radiculitis, herpes encephalitis, progressive multifocal leukoencephalopathy (JC virus), neurosyphilis, primary cerebral lymphoma, metastatic systemic lymphoma. HIV itself affects the brain. Glia cells are infected. HIV causes progressive behavioural, short-term memory and concentration disorders. These develop over the course of several months into presenile dementia with retention of consciousness. Aphasia, alexia and agraphia are usually absent (in contrast to Alzheimer’s disease), though motor abnormalities frequently occur, with unstable gait and a feeling of weakness in the legs. The tendon reflexes are increased. The patient becomes forgetful, can concentrate only with difficulty, quickly loses the thread of a conversation or has to read a text repeatedly in order to understand it. He/she becomes clumsy, suffers from tremor, his/her handwriting becomes blurred (coordination problems) and the sense of balance can become somewhat disturbed, especially when the patient quickly turns his/her head. Awareness of the disease is retained for quite a long time and the patient can describe the symptoms well. Apathy occurs later and the patient becomes mentally retarded. The cerebrospinal fluid often contains a large number of cells, an increased protein level and a discretely reduced glucose level. Agitation, confusion, hallucinations and psychosis can occur. Pyramidal symptoms such as spasticity, hyperreflexia, clonus and the presence of Babinski's sign can occur late. Incontinence also occurs late. One of the most feared consequences of HIV is AIDS-related dementia. The same genetic mutation (epsilon-4 mutation of apolipoprotein E) that increases the risk for Alzheimer's dementia in HIV negative elderly persons may place HIV positive persons at higher risk for AIDS-related dementia (AIDS dementia complex) and peripheral neuropathy. Larger trials are needed to confirm these results. Not only the brain, but also the spinal cord can be affected by HIV (in approximately 20% of cases) resulting in loss of strength in the legs, ataxia and incontinence (vacuolar myelopathy). Toxoplasma gondii was first described by Nicolle in 1909 in a North African rodent, Ctenodactylus gondii. The pathogen derives its species name from this. It is a unicellular parasite that is very widespread in nature and can infect many animal species. It is localised and replicates in practically all nucleated cells. The parasite has 3 principal forms: (1) banana-shaped trophozoites (hence the generic name “toxon” = bow) which reproduce asexually in nucleated cells, (2) intracellular dormant cysts with bradyzoites. In the cells the parasite forms cysts that are held in check by the immune system. The parasite thus remains present in the body, especially in muscle cells and in the brain, throughout the animal’s life. (3) oocysts that are the result of the parasite’s sexual cycle in the intestine of the cat. These oocysts can survive in the outside world for several months. If tissue cysts are present the parasite can become active again due to diminished activity of the immune system. People are infected primarily via cat faeces or by eating contaminated and insufficiently cooked meat. In adults with an intact immune system Toxoplasma usually causes few problems, apart from occasional lymph node swelling and/or hepatitis. Reactivated parasites can attack the brain and retina in immunodepressed persons. Headache, neurological problems, blindness and focal cerebral lesions can occur. Such focal lesions can lead to epileptic fits. A favourable clinical response to anti-toxoplasmosis therapy is suggestive of cerebral toxoplasmosis (a good clinical response usually occurs within 2 weeks). Cerebral biopsy and PCR (Polymerase chain reaction) can be performed if there is doubt about the diagnosis. Toxoplamosis is an infection that can be prevented by prophylactic therapy. Cerebral localisations of lymphomas as well as tuberculomas can resemble cerebral toxoplasmosis. Temporal lobe abscess: ipsilateral headache, aphasia, upper homonymic quadrant anopsia. Frontal lobe abscess: headache, dizziness, confusion, diminished mental capacity, hemiparesis, motoric speech disorders. Parietal lobe abscess: headache, visual disturbances. Cerebellar abscess: nystagmus, ataxia, dysmetria, vomiting. HIV - What can we learn from a MRI or CT scan? Ring-enhanced single lesion: abscess, with frequency toxoplasmosis > TB > cryptococcosis. The peripheral staining by the contrast medium shows the oedema zone around the abscess. On this basis a test therapy will often be started without having formal proof of toxoplasmosis. If there is no improvement within two weeks or if deterioration occurs, a stereotactic brain biopsy should be performed. In addition to these three etiologies, there can be other causes of an intracranial mass: herpes, Histoplasma, Nocardia, Candida, Kaposi, metastasis. In 10% of cases no specific cause is found. Non-ring enhanced lesion: probably lymphoma > PML. In case of PML there is no mass effect. Bilateral diffuse lesions: immune reconstitution syndrome if in the correct context. Multiple ring lesions: toxoplasmosis >> tuberculosis. HIV atrophy: broadened sulci and enlarged ventricles (DD internal hydrocephalus: flattened sulci and enlarged ventricles). HIV - What can we analyse in cerebrospinal fluid? Cryptococcosis is a cosmopolitan infectious disease caused by a yeast, Cryptococcus neoformans. There are two varieties: C. neoformans var. neoformans and C. neoformans var. gattii. These differ in their geographical distribution, ecology and biochemical characteristics. The antigenic specificity of the polysaccharide capsule determines four serotypes: A, B, C and D. Serotypes A and D are found worldwide in bird droppings (avian excreta), especially of pigeons. Serotypes B and C are geographically associated with certain Eucalyptus trees. C. n. neoformans occurs worldwide, whereas C. n. gattii is restricted to the tropics and subtropics. In Australia Eucalyptus camadulensis trees form the natural habitat for the var. gattii. The typical vegetative form of C. neoformans is a yeast with a diameter of 2.5 to 10 µm. The organism can also reproduce sexually. As it is a basidiomycete (Filobasidiella neoformans) it forms sexual spores: “basidiospores”. [Basidiospore: Gr: “basidon”: small base and “sporon”: seed. This indicates the morphology: a club-shaped cell with the haploid spores at the far end.] Infection can probably occur as a result of inhalation of either dehydrated yeast form or basidiospores. Cryptococcus neoformans primarily causes a chronic meningitis. Systemic infections, inflammation of the lungs and cutaneous lesions also occur as a result of these yeasts. The demonstration of cryptococcal meningitis in a patient is at present considered proof of HIV infection and AIDS. The clinical picture can be very atypical. Mild fever, headache, confusion and emaciation can be found in patients with cryptococcal meningitis . Neck stiffness is present in less than half of infected persons. Photophobia occurs in 25%. Confusion and coma occur later. Focal signs are seldom observed. Blindness can occur (possibly due to concomitant arachnoiditis), although this is less frequent in HIV patients than in immunocompetent individuals with cryptococcal meningitis. The diagnosis of a cryptococcal meningitis is made by centrifuging a few ml of cerebrospinal fluid and mixing the sediment with an equal quantity of East Indian ink. The yeasts are recognized quite easily as round organisms with a thick capsule. The saccharide capsule can be detected via an antigen detection test (latex agglutination test for serum, cerebrospinal fluid and urine). The encapsulated organism can likewise be detected in tissue biopsies. Tuberculous meningitis usually presents with a non-specific clinical picture. The cranial nerves are frequently affected. Tuberculous meningitis induces an increase in the number of lymphocytes in the cerebrospinal fluid and a decrease in glycorrhachia. Acid-fast bacilli can sometimes be shown by direct examination, but in view of the low sensitivity of direct examination, a culture (Löwenstein-Jenssen) may be necessary. Nodular thickenings, i.e. tuberculomas of the meninges can be observed on CT scan or MRI. Progressive multifocal leukoencephalopathy (PML) is a demyelinising disease caused by infection with a papova virus, the JC virus. The family of the Papovaviridae is divided into two genera: Papilloma virus (e.g. wart virus) and Polyoma virus (including JC virus, BK virus and the SV40 virus). The name papova is derived from papilloma, polyoma and vacuolating agent. They are small double-stranded DNA viruses that are potentially oncogenic. The infection preferentially destroys the oligodendrocytes, leading to demyelinisation since the myelin sheath around axons in the central nervous system is formed by concentric folds of the cytoplasma membrane of the oligodendrocytes (analogous to the Schwann cells in the peripheral nervous system). The disease was first described in 1958 by Aström. By injection into experimental animals the virus can induce a number of brain tumours (gliomas, meningomas, neuroblastomas, medulloblastomas). JC virus undergoes intranuclear replication in the astrocytes and oligodendrocytes, as well as in other cells (the virus can be found in epithelial cells in urine, liver, spleen, lymph nodes and lungs). Infections with this virus are frequent but nearly always remain without further consequences. However, in severe immunosuppresion (CLL, Hodgkin’s disease, sarcoidosis, SLE, AIDS) a neurological syndrome can occur. Selective destruction of myelin takes place, but the axons are spared. There is little inflammation (in contrast to multiple sclerosis, where there is an inflammatory lymphocytic infiltrate). Multiple distinct foci of myelin destruction are observed in brain tissue obtained via stereotactic biopsy. The foci become confluent after a while. The lesions are asymmetrical without any preferred localisation, although lesions rarely occur in the spinal cord. The oligodendrocytes exhibit intranuclear viral inclusions. Giant astrocytes with pleomorphic, hyperchromatic nuclei strongly reminiscent of glioblastomas also occur. The clinical evolution is rapid, with an average course of disease of 2 to 4 months. Remission seldom occurs. Mono- or hemiparesis, speech disorders, mental deterioration with progression to dementia and death are the rule. Transverse myelopathy is rare. There is no fever. Headache and fits or convulsions are exceptional. The differential diagnosis includes other opportunistic infections (mycobacteria, fungi, Toxoplasma, cytomegalovirus), syphilis, cerebral lymphoma, endocarditis with embolism, HIV encephalopathy and multiple sclerosis. The EEG is usually diffusely disturbed and aspecifically slow. The cerebrospinal fluid is normal, though the virus can be detected in the fluid by PCR. CT brain scans and, even better, MRI scans show the subcortical lesions in the white matter. There is no mass effect and no staining of the lesions with contrast medium. As regards treatment, the results with various medications have hitherto been disappointing. Regression of the lesions has sometimes been seen under treatment with “HAART”. Mononeuritis (for example, facial paralysis) can occur at any stage of the HIV infection. Polyneuritis (often with severe pain and sensory disorders) in persons who are not taking any medication occurs almost exclusively in an advanced stage of the disease. Severe radiculitis with nerve pain can be caused by cytomegalovirus infection. Antiretroviral therapy, in particular Hivid®, Zerit® and Videx®, can cause neuritis. Neuritis can also be provoked by nicotibine (INH) and by alcohol, as well as vitamin B deficiency and diabetes. Neurosyphilis should be excluded in neurological problems. Dark brown (on black skin) or purplish plaques and nodules (on white skin) on the skin or reddish-purple elevations in the mouth indicate Kaposi's sarcoma. This is a cancer that can affect any part of the body (lung, intestine, eye etc.) in AIDS patients, in contrast to the so called endemic Kaposi in Africa, which develops slowly and usually causes lesions only on the feet and legs. [Note: The disease was first described in 1872 by Moritz Kaposi, a Hungarian dermatologist. The disease is encountered principally in persons from Eastern Europe and the Mediterranean basin]. Kaposi's sarcoma thus occurs less frequently in Southeast Asia than in Africa. Since Kaposi's sarcoma occurs much more frequently in homosexual men than in patients infected with HIV via blood, an infectious cause was suspected. Kaposi's sarcoma also occurs more frequently in HIV-negative transplant patients. Immunosuppression appears to be needed for expression of the agent. A new herpes virus genome (KSHV [Kaposi's Sarcoma Herpes-like Virus] or HHV-8 [human herpes virus 8]) was found in the DNA of Kaposi's sarcoma cells and certain lymphomas. This virus apparently has a causal role in these cancers (and also in a variant of Castleman’s disease, a lymphoproliferative disease of B-cells). The virus is found in sperm, though much higher concentrations occur in saliva. 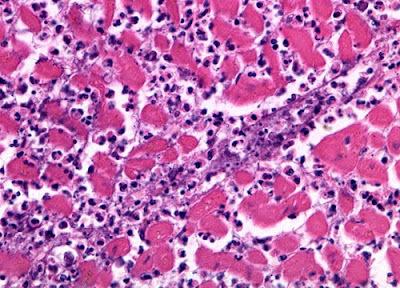 This virus is also suspected of playing a role in pulmonary hypertension, but more research is needed. Herpes genitalis is a sexually transmissible disease caused by herpes simplex virus type 2, sometimes by type 1. Primo-infection with HSV-2 is symptomatic in only 37% of cases. Transmission of the virus by asymptomatic carriers is possible, even after many years. A first acute episode is either a primo-infection in a person who has never been infected with HSV-1 of HSV-2 before, or a first clinical manifestation of herpes genitalis in a patient who has been carrying the virus for some time. This first episode is classically expressed as blisters followed by ulcerations accompanied by a burning sensation, discomfort and sometimes intense pain. Some patients also report headache and symptoms indicating a neurological disorder: neuralgia, sensory disorders in the calves and urine retention. Recurrences are generally less serious than the first episode. Recurrences are more frequent with HSV-2 infection than with HSV-1 infection. With time, however, the frequency of relapses decreases. Application of steroid-containing crèmes should be avoided, especially with eye lesions. In Southeast Asia infection with Penicillium marneffei should be included in the differential diagnosis of skin lesions. This fungus causes high fever (95%), hepatomegaly (40-90%), lymphadenopathy (50-90%), cough (50%), anaemia (40-80%), emaciation or weight loss (75%), splenomegaly (15-60%) and skin lesions (70%). The skin shows several papules with central umbilication. The chest X-ray can resemble tuberculosis. The organisms can be demonstrated in a smear from the skin, lymph nodes, sputum and/or from the bone marrow (a bone marrow analysis is the most sensitive). The white blood cell count varies greatly. The fungus is sometimes found in neutrophils in peripheral blood. Culture is also possible. The fungus is sensitive to amphotericin B and itraconazole. Do not confuse the yeast cells with other fungi or leishmania amastigotes. The natural reservoir of Penicillium marneffei is still poorly known, though a connection with certain rodents (so-called bamboo rats such as Rhizomys sp. and Cannomys sp.) is thought to be likely. The organism was first isolated from the liver of a bamboo rat in 1956. It is named after Dr. Marneffe, a former director of the Pasteur Institute in Indochina. The first naturally infected human case was described in 1973. The mode of transmission has not yet been fully elucidated. Keratitis can be caused by various organisms ranging from herpes viruses to microsporidia. Minor infarctions in the retinal nerve layer (“cotton-wool spots”) are very frequent. They are transient and are of no further significance. In Europe before the era of antiviral combination therapy approximately 20% of AIDS patients developed ocular lesions due to infection with the cytomegalovirus. CMV retinitis is rare in developing countries as most patients do not survive a very severe immunodeficiency condition for a sufficiently long period of time (they die earlier of something else). CMV spreads from cell to cell in the retina and causes a peripheral or paracentral scotoma (retinal necrosis) that gradually becomes larger. Tunnel vision is one consequence of the destruction of the peripheral retina. Multiple minor haemorrhages and perivascular sheathing is characteristic of this infection. Retinal detachment can follow focal atrophy of the retina. If left untreated it can lead to blindness. Blindness is caused less frequently (3%) by toxoplasmosis retinitis. In cases of toxoplasmosis of the retina there is also a high risk (30%) of toxoplasmosis of the brain. Pneumocystis carinii choroiditis is very rare. Retinal necrosis can be caused by herpes simplex or herpes zoster virus. Weight loss is very frequent. It occurs in more than 90% of patients and can be very substantial ("slim disease"). It is probably multifactorial: hypermetabolic patients with various infections, cytokine mediated effects, direct effects of HIV itself, malabsorption, anorexia, etc. Many patients die of extreme cachexia. In many cases tuberculosis is found in unusual sites upon autopsy. Many patients develop lymphadenopathy in the course of their illness. Tuberculosis should be excluded in cases of seriously enlarged (> 4 cm) or asymmetrically enlarged lymph nodes (lymph node aspirate with Ziehl staining). Syphilis, toxoplasmosis and non-Hodgkin’s lymphoma can also cause lymph node swelling. • This is useful because when someone is nauseous, there is often gastric stasis, which means that drugs given by the oral route will not be absorbed effectively. Also, the drugs should not be given when the person is about to vomit, otherwise they will just vomit up the drug. 1. Following rheumatic fever, what causes the mitral valve to become insufficient? Answer: As a result of the inflammatory process involving the mitral valve with possible development of vegetations, there is damage to the valve resulting in eventual scarring and deformity of the valve. This causes the cardiac valve to become incompetent and results in mitral insufficiency (regurgitation). 2. What is the most common disease process causing constrictive pericarditis? Answer: Constrictive pericarditis can be caused by acute rheumatic heart disease. The most common cause of pericarditis is idiopathic and may be secondary to an inflammatory process such as viral disease. 3. During the acute phase of rheumatic fever, do the valvular lesions, themselves, cause valvular insufficiency or stenosis? Why? Answer: During the acute phase of rheumatic fever, the valvular lesions generally cause valvular insufficiency as a result of the active inflammatory process interfering with valvular function. In chronic rheumatic heart disease, there is significant scarring with resultant rigid deformed valves leading to valvular stenosis. 4. Besides the heart, name two other organs which can be affected by immunologic reaction occurring during a streptococcal infection? Answer: Two other organs that can be affected by an immunologic reaction in rheumatic fever are the joints and central nervous system. This is result of probable cross reactivity of the anti-streptococcal antibody with antigens in the heart, joints and central nervous system. 5. What causes the affected valve to become stenotic? Answer; The affected valve becomes stenotic as a result of inflammation leading to fibrous scarring of the valve and a narrowed valve orifice. 6. 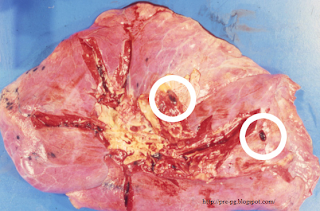 Why are no bacteria found in these lesions? 1. Which organism is most frequently found in drug addicts with infective endocarditis? Answer: Staphyloccus aureus is the most frequent organism found in drug addicts along with other skin contaminants. 2. What is the most frequent final outcome of this disease in drug addicts with antibiotic treatment and valve replacement? Answer: There is a very high mortality rate in drug addicts that develop acute bacterial endocarditis despite antibiotic treatment and valve replacement. 3. Give cardiac and extracardiac complications of infective endocarditis? Answer: The complications of infective endocarditis include cardiac failure, disseminated infection, systemic embolization (which can secondarily cause myocardial, splenic, cerebral, renal infaction) and cardiac arrythmias. 4. What is the minimum number of blood cultures required to arrive at a definitive diagnosis? Answer: The recommendation is at least 2 blood cultures, 15-60 minutes apart for a given febrile episode. 5. Compare marantic with infective endocarditis, clinically and histologically. -all of these abnormal shapes will shorten the survival of the RBC and lead to anemias. -function to contribute to the appropriate shape of the cell, when one is structurally modified or absent because of mutation there will be an aberrant shape that will lead to anemia due to premature lysis. The lysis comes about to them being trapped in the spleen because of their aberrant shape, they will then be phagocytosed. -remember that they are non nucleated vesicles that arise from megakaryocytes. -there have been more than 50 platelet plasma membrane proteins that have been recognized. And there are this many genes in which mutations can interrupt function. These 50 have been assigned into 5 gene families. -huge multiplicity of genes and function can lead to many mutations. Given that platelets are so central in hemostasis there is a lot of potential for bleeding disorders that revolve around the mechanisms in disabling platelet function. -Bernard-Souliar Syndrome: Thrombocytopenia, in which thrombocytes are low in number. -the granularity of the platelet is destroy or diminished or there are other specific genes that are not function because of the mutation, the platelet number is for the most part normal. -Glanzmann Thrombasthenia- platelet fail to aggregate in their customary manner. Clot will stay loose and fail to harden. This is a rare disorder, and autosomal recessive. -Hermanzkie-Pudlak Syndrome: This syndrome shows that you can have other system elements in the phenotype not just bleeding. There is severe albinism in addition to problem with bleeding. There is an accumulation in reticulo-endothelial cells in bone marrow and other tissues of a serous like material. -Chediak-Higashi Syndrome- multi-system effects. There is partial albinism, you will see large granules cytologically in the platelets. You will also see large granules in leukocytes. This is therefore an immune dysfunction and a bleeding dysfunction. There are serous like deposits responsible for this. -T.A.R. Syndrome (Thromboyctopenia-Absence of Radius) involves anatomic formation and thrombocytopenia. If newborn baby present with an absence of the radius bone or thumb in one arm, you will want to do a platelet count. You will find that there may also be thrombocytopenia. X-linked inherited defect, seen mostly in baby boys. The thrombocytopenia that you see is hypomegakaryotciticà the karyocytes look big, but the platelets (or thrombocytes) are not being derived from them in sufficient numbers. -Whiskott-Aldrich Syndrome: a signal transduction defect, the cytoplasmic membrane receptor or an intracellular cascade protein is defective. This will lead to an insufficiency in platelet size. They are unusually small. There is a sever deficiency in number of platelets as well. There is a severe immune defect, and eczema (skin disorder). -Diverse Immunoglobulin gene deficiencies exist. -specific Ig chain deficiencies, you will see a selective set of susceptibility to a certain set of microorganisms. -X-linked-hyperimmunoglibulin M, an excess of IgM production. Seen mostly in males. -Ig Sub-class deficiencies- remember the gamma globulins have 3 of 4 subclasses. It is clinically not difficult to recognize that a child who comes repeatedly for inner ear infection with the same microorganism, you should look into it being a selective Ig deficiency. Inner ear infection has proven to be a genetic susceptibility. -T Cell and B cell numbers can be modified or impaired as a result of mutation. There will be a diverse set of phenotypes. -T-cell receptor signal transduction deficiency. -mutations in metabolic genes ie: Adenosine deaminase (imp enzyme in DNA metabolism) can have a consequence of impaired B-Cell function.